MEWP Access (Mobile Elevated Working Platforms) falls under 3 better know categories such as; cherry pickers which allow articulated movement, scissor lifts providing vertical access and spider booms, which allow the same movement as cherry pickers but have a narrow body and balance with out riggers. This means that the spider can be used in much smaller spaces whilst still ensuring maximum access. MEWP access is extremely versatile and mobile making ease of some of the most challenging projects at height whilst still maintaining an outstanding level of safety. Apex Access Group’s MEWP operators, cherry picker drivers, hold an IPAF qualification enabling them to operate the appropriate machines for the specific tasks weather that be cherry picker, scissor lift or the spider boom machine operating. MEWP Access is a preferable alternative for traditional access methods such as scaffolding for high level maintenance due to its low set up time and ability to cover large volume of work from one position. 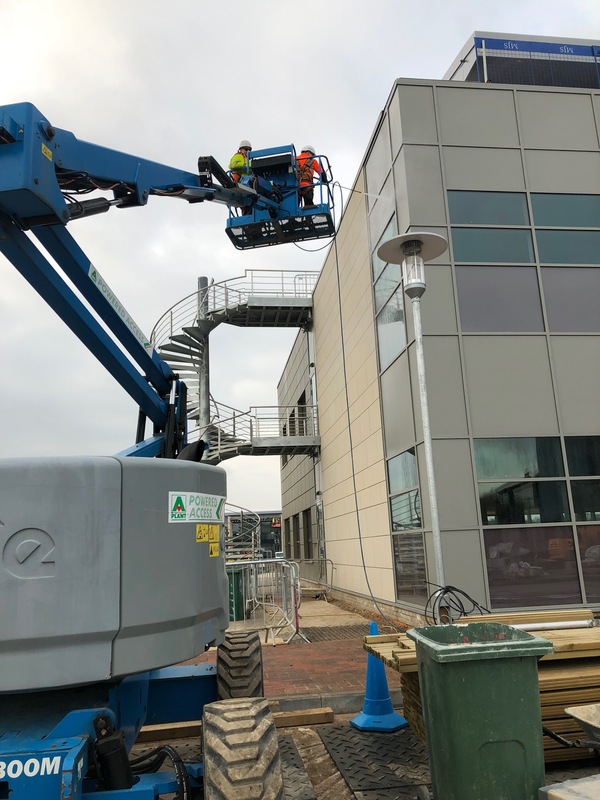 Some high level maintenance projects may require both MEWP access with the use of cherry pickers and also rope access industrial abseiling for the unreachable sections of an elevation this may be due to inaccessibility. This hybrid of methods often still proves more costs effective than traditional access methods like scaffolding.